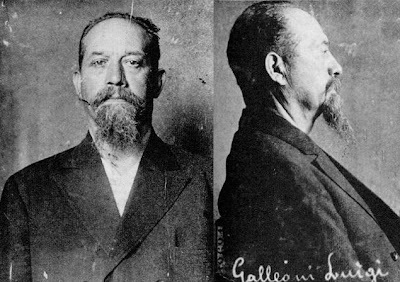 As we witness yet another wave of anti-immigrant hysteria and mass deportations, this article reflecting on the history of anarchist firebrand and advocate of propaganda of the deed Luigi Galleani couldn't come at a better time. 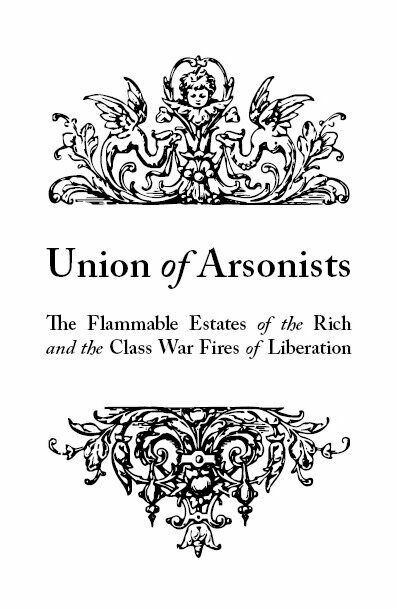 Of course, the immigrant community historically has been a hotbed of anarchist thought and action, so it's worth taking the opportunity provided by this article to look back at past anarchist responses to the attacks of the state. The whole article is very interesting, but in particular I want to highlight the last few paragraphs. The anarchists-avengers embarked on a terrorist campaign targeting important American institutions and individuals (such as J.P. Morgan and John D. Rockefeller). Sixteen mailed explosives were discovered at the New York post office (undeliverable due to insufficient postage) but others delivered by hand caused panic in cities around the country. Even Palmer was targeted with a bomb delivered to his Washington, D.C., address. The bomber died in the explosion which caused significant damage to Palmer's house. Extensive anti-terrorist actions were undertaken by the government with little success. Their investigations were hampered primarily by the inability of anyone within the Federal Bureau of Investigation to speak or read Italian. Eventually, Italian informers were recruited and their efforts finally yielded meager results. Their most-effective informant was able to connect the Galleanisti with the bombings, and the anarchists hurriedly began to conceal their pamphlets and supplies of explosives. The U.S. government deported Galleani in June 1919 in an attempt to tame the burgeoning anarchist threat to American institutions. It was during these efforts that Sacco and Vanzetti were arrested, and their claims to have been hiding anarchist literature during the robbery/murders in Braintree were considered to be insufficient alibis to offer the authorities. It is safe to say that the Palmer Raids in 1920, instigated by the U.S. Attorney General, whose home was partially destroyed by the anarchists in the previous year, were precipitated by the Galleanisti bombings. In the aftermath, more than 10,000 people were arrested in an effort marred by the absence of due process and extorted confessions. Although the anarchist movement in the United States was greatly diminished, a defiant Galleani continued to publish the Cronaca after his forced return to Italy. But the fascist government of Italy repeatedly jailed him. Destitute and ailing, Galleani, once considered the most dangerous man in America, died in Tuscany Nov. 4, 1931.